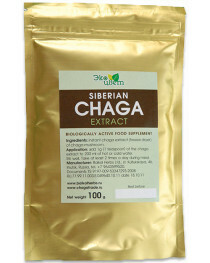 Freeze dried Wild siberian CHAGA mushroom extract 1000 gram 2,2 lb cancer tumor 57% of chromogenic complex. Chaga growth mostly on birches so it's often called as black birch mushroom. Thought this is a parasite for a tree, for people it is a very effective remedy against tumors and stomach diseases. This mushroom growths in forests where birches growth — mostly in Russia and Eastern Europe. In some Russian villages people make hot beverages from it instead of tea or coffee. 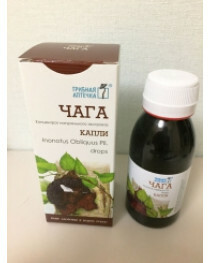 In these villages frequency of cancer cases is extremely low — thought chaga's chemical compounds are not studied enough, it is reach of pterins that help to fight malignancy. 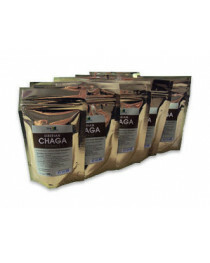 Thought chaga is effective in preventing cancer, it is not proven to be able to fight it. 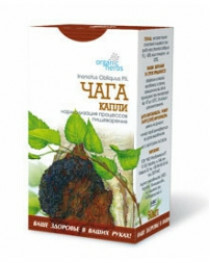 Chaga is prescribed as an additional to the main treatment therapy. 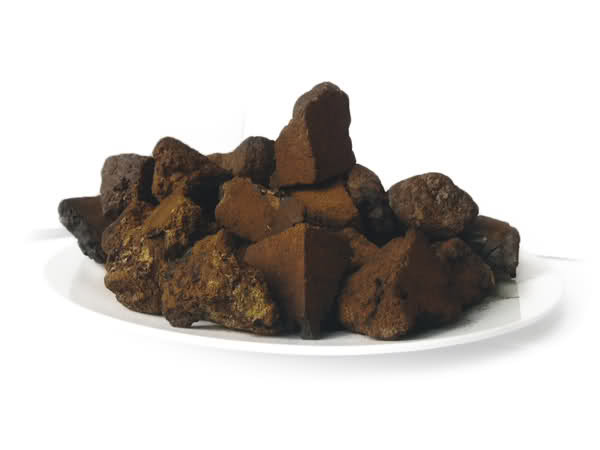 However, if you know that you are in cancer risk group — because of your work, environmental problems in you region or bad habits like smoking — consider taking chaga on daily basis to decrease the risk. It is also used as a good choice against thirst and help to improve metabolism and prevent many problems of alimentary system. The most common way to use the mushroom is to make a tea from it (consider buying water purifier to get a clear water). 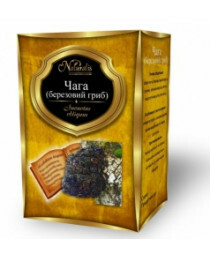 It is a perfect caffeine-free replacement for tea or coffee which will provide you with energy for all the day. In the summer, when it's too hot for any hot beverages, it's possible to make smoothie from the mushroom — it can be eaten raw. Remember never to boil or microwave the mushroom, or it will lose much of its useful ingredients. 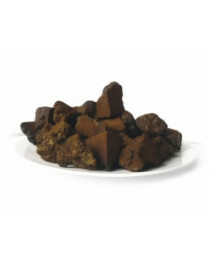 Chaga should be stored in dark and dry place away from children. 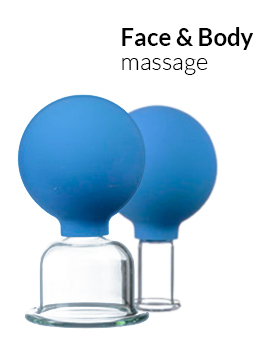 Kalinka store offers free shipping all over the world. 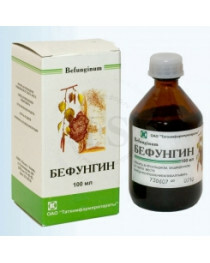 Try the legendary Siberian organic products for best prices and start your new healthy life!